Yet One Academic Writing Company Comes under Scrutiny. Loser or Top Service? Another Online Academic Writing Resource Falls under Scrutiny. Lame Duck or Shining Star? 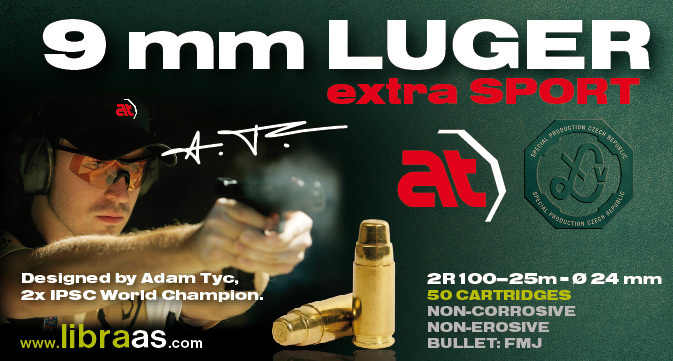 Nowadays, we produce 3 different calibres of traumatic (non lethal ammunition). 9x22 P.A. RUBBER, 10x22 P.A. RUBBER and 10x28 P.A. RUBBER. We are ready to design all parameters of cartridges – weight of the ball, its energy, speed and hardness, so it meets all your requirements. In recommended weapons, tehse cartridges assure self-loadin ability of the gun. Newly constructed cartridge – one of many designed by Vlastimil Libra – serves for developing of new PDW weapons, sport shooting and hunting of small animals for long distances. Thanks to its qualities – thickened case head and enlargement of interior space for gun powder – we succeeded in increasing of cartridge power and muzzle velocity, so it has very low exceeding of trajectory over sight line and extreme accuracy. Catridges 7,65mm, 38 Special a 9mm with a Shot shell bullet. Typical shot-shelf projectile – jacket is made of a brittle material that is crumbling away during way through the barrel, only shots hit the target (shots Ø 1,5mm). Usage: warning shot, dog-training (shot-sxteady). During warning shot in closed space when the shots hit the solid obstacle, they aren’t recoiled and that’s why there’s no life-threat.